What comments would you you like to see added to the communication menu? 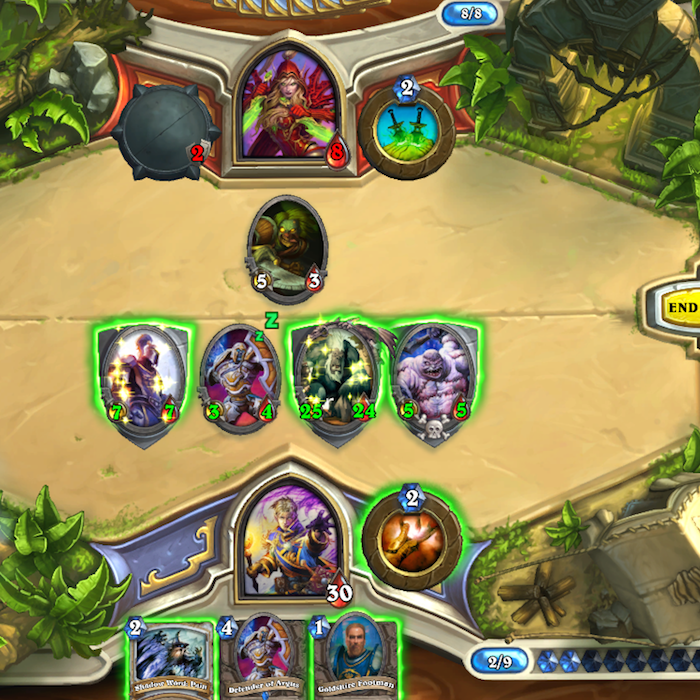 THIS IS, err, YOHTAI – Ye Olde Hearthstone Tavern and Inn. 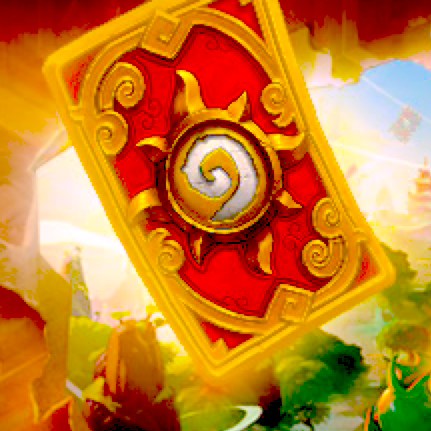 Season 1 is coming to a close at the end of the month, and with it your chances of acquiring the Pandaria card back for your collection. The Fireside Gathering is on. 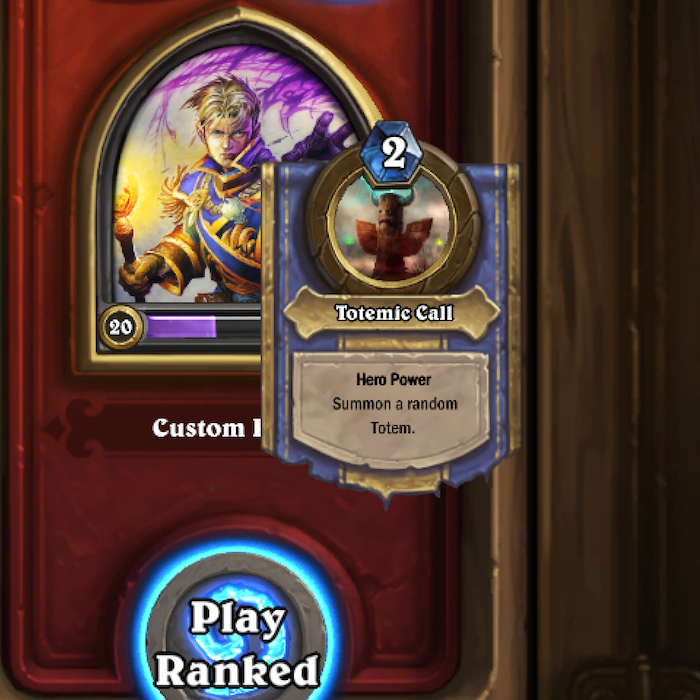 If you can log in three devices on the same router, you can get the Fireside Gathering card back. 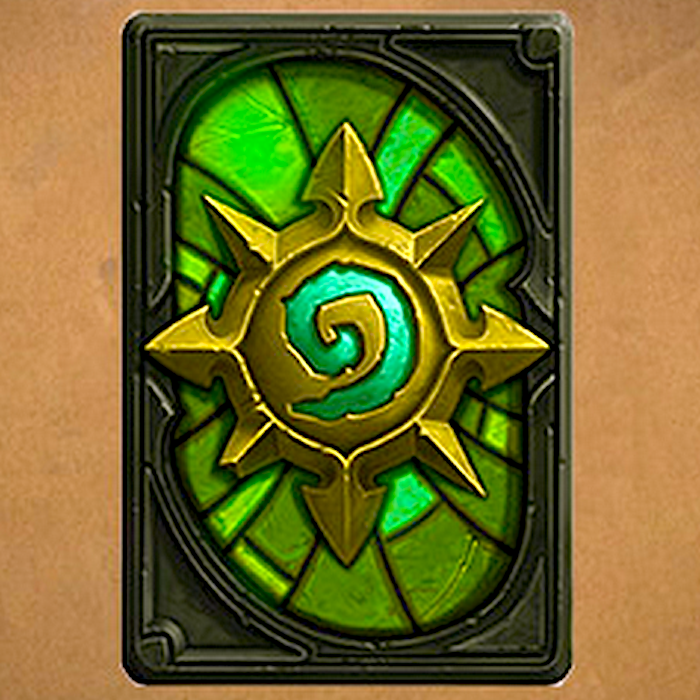 Blizzard’s big idea, however, was a big flop with hardly any HFG parties anywhere. Blizzard’s lack of commitment and investment in this social event leaves us with some questions about their community skills. 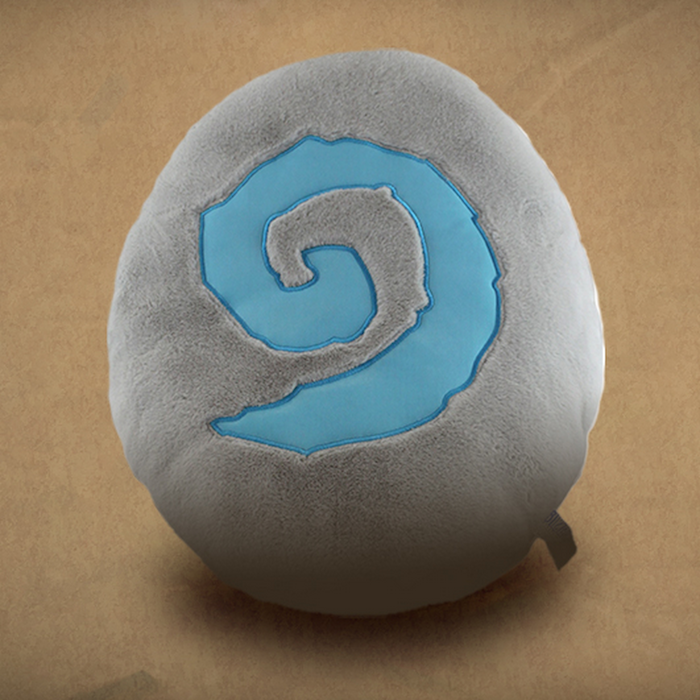 Our genius suggestion: A plushy Hearthstone Pillow awarded to the first 300 Fireside Gathering leaders signed up for the Cinco de Mayo slash This is Sparta bash. What Cinco de Mayo Bash?! Exactly. 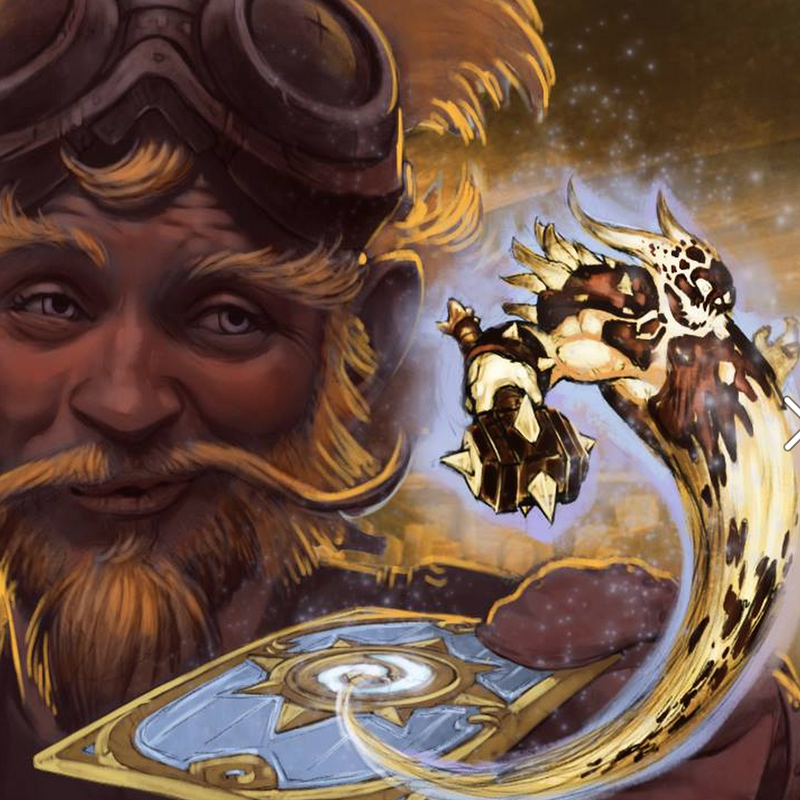 TOSH.0 still don’t got love for the Hearthstone. Whazzup with that? He know internets? Obviously not. 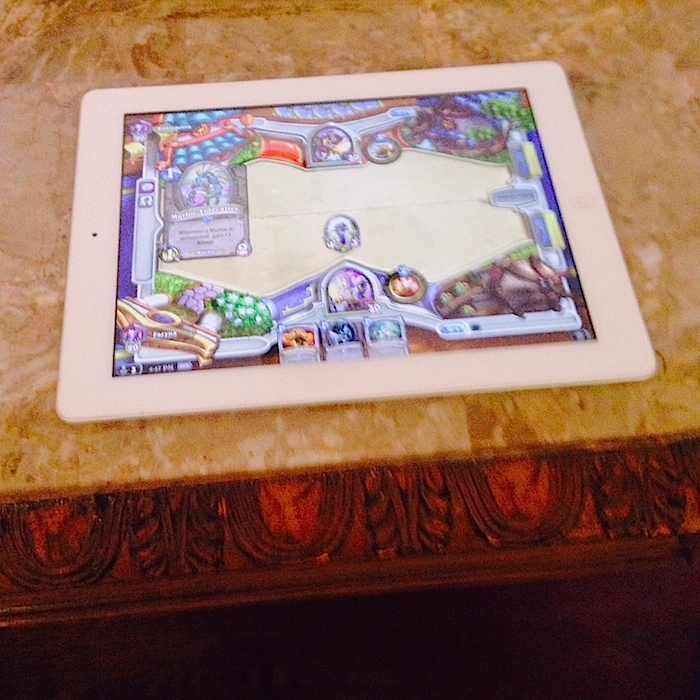 Because Hearthstone is one of the hottest iPad app downloads going on. 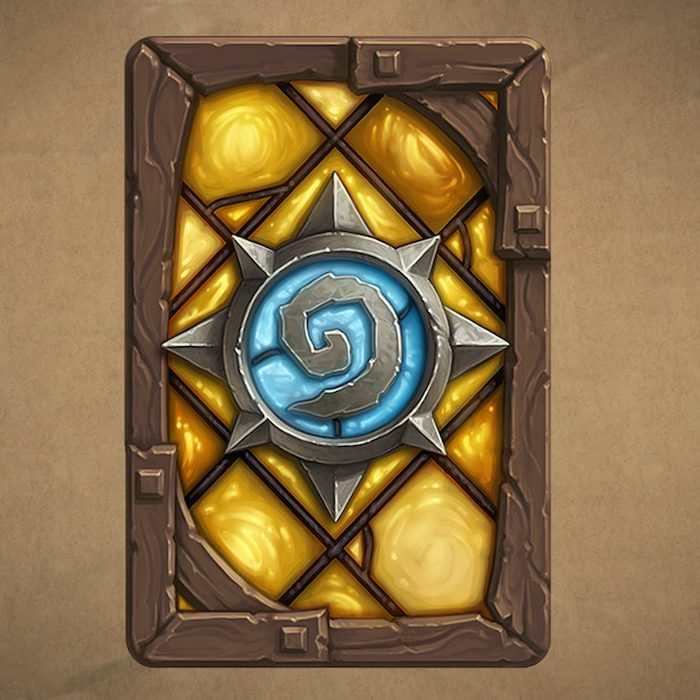 It’s averaging 4.5 stars, got 7086 ratings overnight, and Hearthstone is at the top of the app download list. Get in there and fight, Maggot! 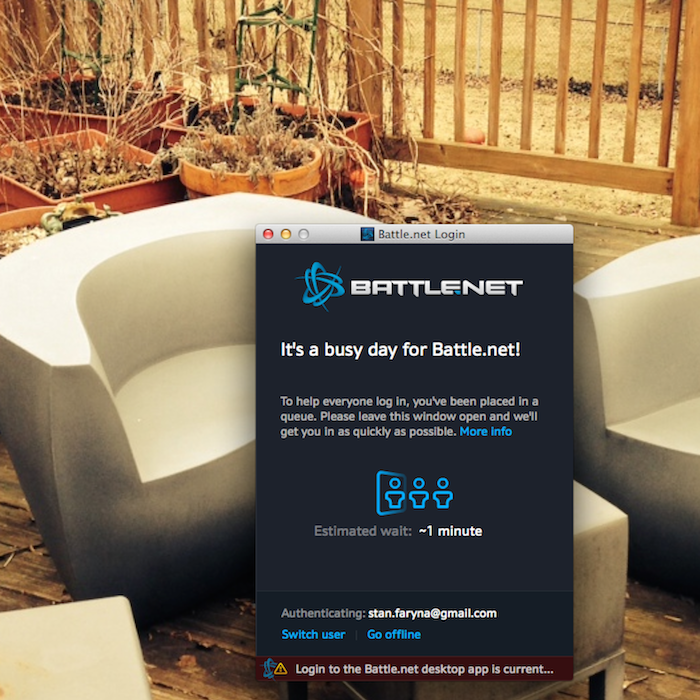 Some of us are casual gamers – playing less than 10 hours per week. But if you can log in for 30 minutes, you can collect the 40 gold daily quest reward with a little help from you friends at YOHTAI. 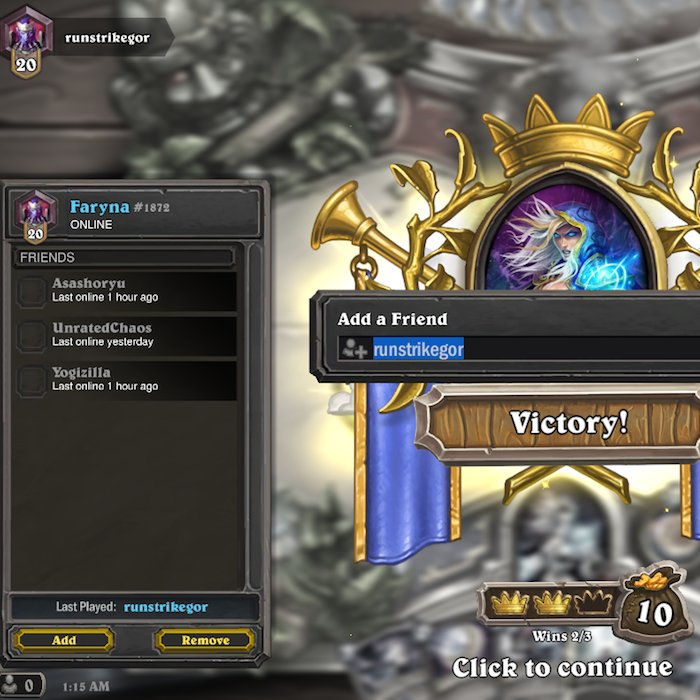 Log-in, let your friends know you need a “little gold” in the chat and then take turns winning and losing to get that quest reward. 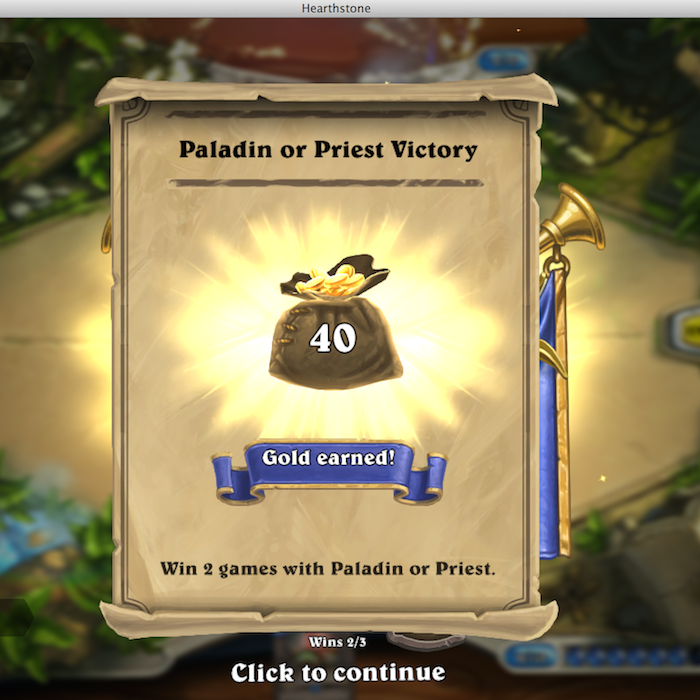 No one likes losing most of the time. If you can’t survive to round 10 in most fights, whip out your credit card and throw down $20 on some cards. But not until you can survive until round 9. 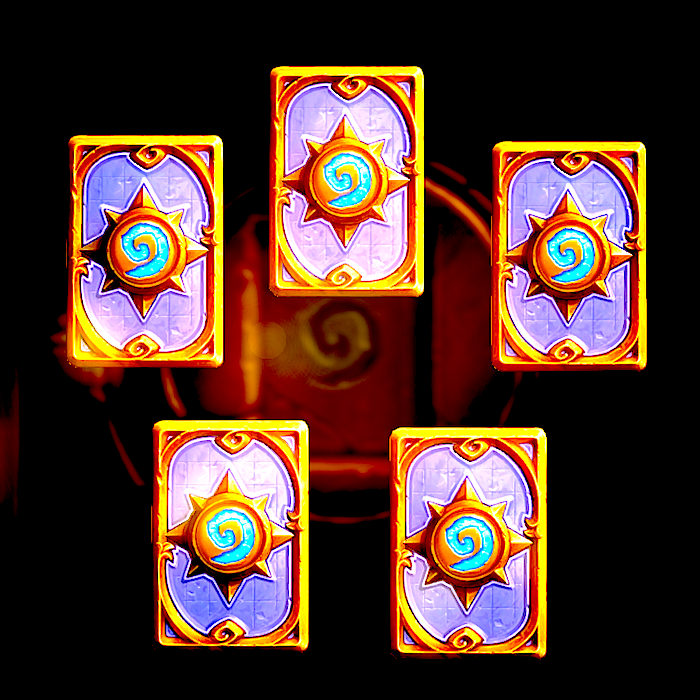 Because you need some tested and true ideas about how to play the game before new cards can help. YOHTAI is on Steam and Facebook! 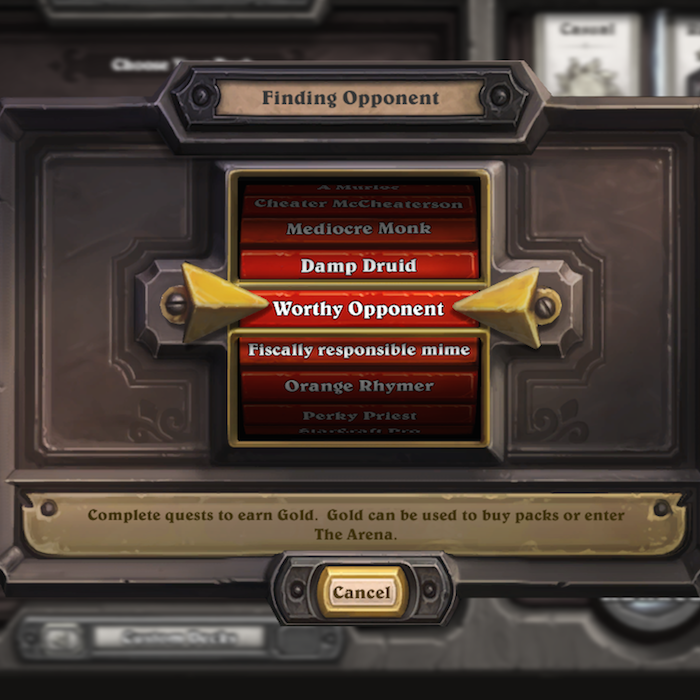 If you’re new to Hearthstone, there may be some confusion about Rankings. 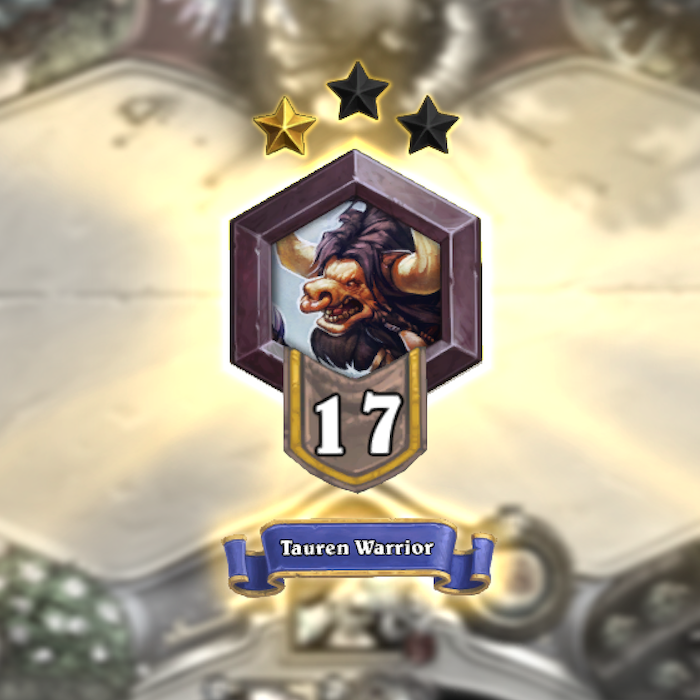 We know there’s 25 rankings including Legend. 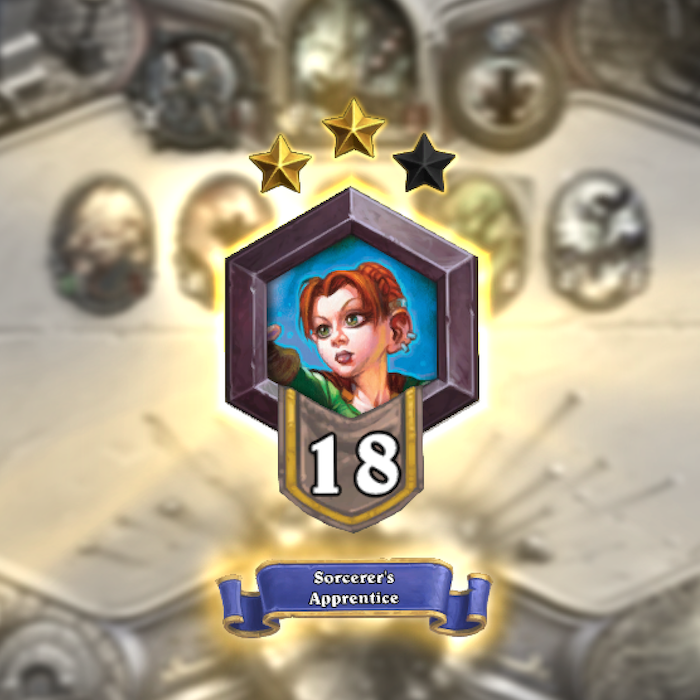 But after you get to rank 20, you proceed (or not) to rank 19. This is not a bug. #YOHTAI Issue No. 3 is here.